I recently had dinner at The French Laundry, Thomas Keller’s famous restaurant in Napa. It was such a treat. When dessert time rolled around I declined. I am not usually a dessert person; I am more of a savory girl. My friend obliged and ordered a orange-pistachio cake. By the time it was served, my friend had stepped outside to take a phone call. The cake looked delicious, so reached my arm across the table and took a small bite. What an incredible combination, orange, apricot, and pistachio. It was good, but I knew what would make it even better. I ordered a shot of tequila reposado and slowly poured it over the top of the cake, allowing it to soak in. Now it was perfect. By the time my friend returned I had a very sheepish smile and the little cake was almost gone. Combine all ingredients in a shaker. Shake well. Fine strain into a chilled coupe glass. Garnish with a candied orange peel. Combine honey and sugar with 1 ½ cups water in a small saucepan. Cook over medium heat until sugar dissolves. Combine honey and apricots with brandy in an airtight container. Store in a cool place for three to eight weeks. 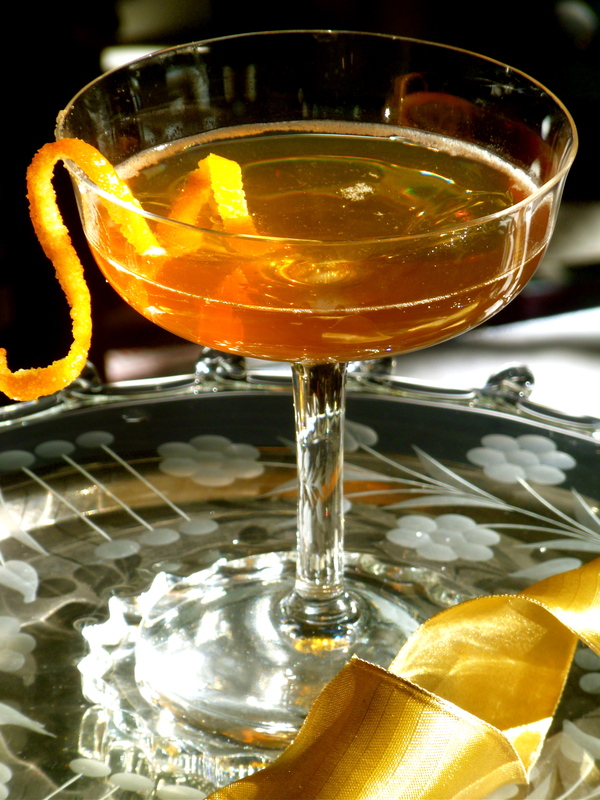 I choose orange blossom honey for this brandy because it compliments the apricot so well. You get more of a bright, orange jam note compared then some of the other over sweetened syrupy apricot brandy’s that you can buy.